By students of color, for everyone. In fall 1993, Rainbow Theatre began opening eyes to cultural diversity at UC Santa Cruz and grew into an indispensable institution. 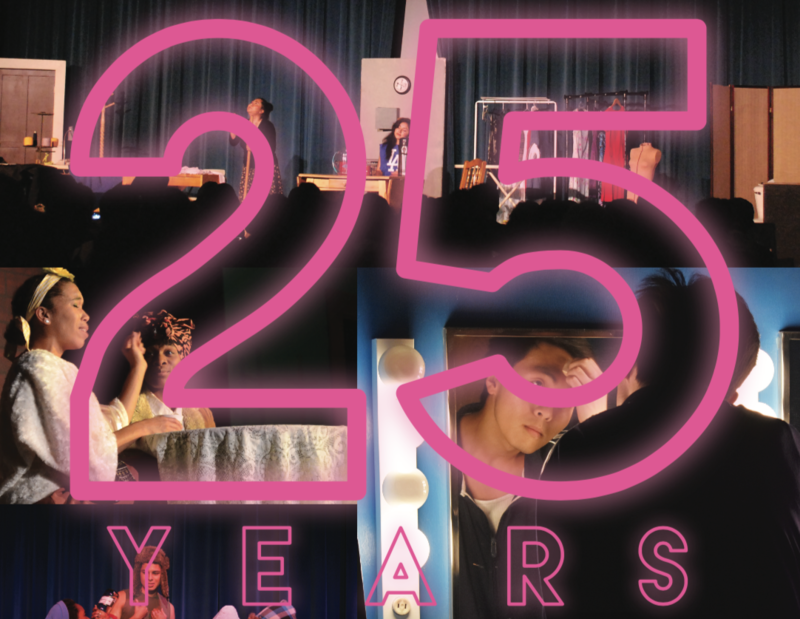 Feb. 1 marks the beginning of Rainbow Theatre’s weekendlong celebration of its 25th season. The events will commemorate Rainbow’s legacy of diversity and cultural awareness. 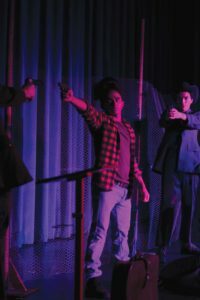 “Through Rainbow’s creating there has been much greater acceptance and understanding of various cultures that we represent,” said Rainbow Theatre founder and faculty director Don Williams. 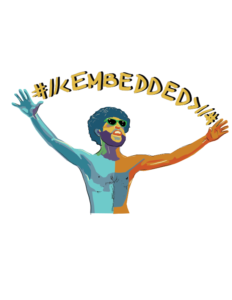 The celebration will feature two actors’ workshops, a performance of Pratik Motwani’s “Embedded” and several meals to be shared between alumni, theater professionals and students. Motwani’s play chronicles the story of a man, Cinnamon Briganza, who becomes so consumed with producing his own internet persona that he loses touch with his identity in the external world. In an attempt to gain acceptance in a world that labeled him an outcast, Cinnamon Briganza starts to build a virtual identity through social media. He uses YouTube to connect with an online audience and seeks validation via his virtual mask. As the play progresses and Motwani’s character becomes more entrenched in his online world, he struggles to define who he is. “The two identities then begin to talk to each other. This premise cracks open the opportunity for the audience to follow and simultaneously examine the journey of how one builds identity in the first place,” Motwani said in an email. Motwani’s ability to examine a global dilemma using diverse media and an outrageous sense of humor inspired Rainbow members to contract him to perform at UCSC. 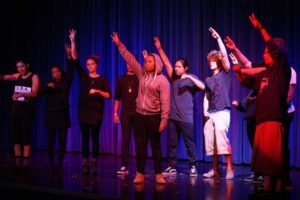 Williams and accompanying Rainbow Theatre troupe members were impressed with Motwani’s performance of “Embedded” at the National Asian American Theater Conference and Festival in Chicago last year. Rainbow Theatre is a place for students of color to take charge of their artistic expression and representation in theatrical performance. 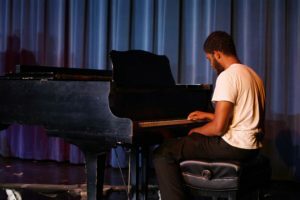 Members of the Rainbow Theatre troupe write, direct, produce and perform their own productions — rare at both the university and professional level. Representation on stage is essential to fighting the assumption that one does not belong in an environment lacking representation of a specific identity. There is a consensus among Rainbow Theatre members that audience members and artists need to see people who look like them on stage to feel their presence in the theater is welcome. “Cultural diversity […] in theater gives a representation of not only the people who are in it, but the people in the audience getting to see themselves and their experience onstage,” said Rainbow Theatre alumna Niketa Calame- Harris. Since its creation, Rainbow Theatre has instilled values its troupe members take with them beyond university, into the professional field. During the anniversary weekend, many will return to give back to Rainbow Theatre’s present members. Calame-Harris is a mentor to current Rainbow Theatre troupe members. Now an acting coach, producer and successful actor in productions such as Disney’s “The Lion King,” she regularly returns to UCSC to prepare young artists of color to navigate the world of professional acting. With students of color participating at all points of the production process, visual entertainment will begin to reflect the diversity of the world we live in with greater accuracy. All events are open to the public. RSVP online by 5 p.m. Friday night on Rainbow’s website.